We're late this week, sorry, wifi issues! This is more of a Saturday post, really, but quite a lot happened, so I'm hoping it will still be interesting and no one will mind. A lot goes on in Bristol, there was even a fire limbo dancer! And cake, of course, there will always be cake. 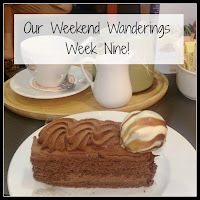 It's also more about my wanderings, as I decided I would do something a bit out of character and go totally rogue. Oh yes, you heard me right, I went out, completely unsupervised. So, basically, what I'm trying to tell you, is that the title of this post is a bit of a big fib, really. But, I can't change it, because then it wouldn't be Weekend Wanderings, and anyway, Saturday is half the weekend, after all. Before I get onto my Saturday galavanting, I must tell you what's been grabbing my attention way too much recently. For the past couple of weeks, my usual cat videos and old eighties pop has been replaced on Youtube by... a giraffe. I didn't even know I was that fond of giraffes. I mean they are very elegant, and have lovely faces, but I've never invested this much time in one before. I'm not the only one though, the Youtube feed for this particular animal is pulling in a crowd in excess of 40,000 beady eyes, all waiting for one thing. The birth of her calf, due 'any time' (although it's been over two weeks now!) 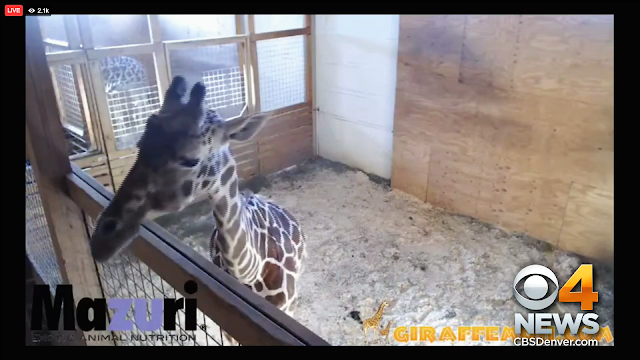 and livestreamed from Animal Adventure Park, so that giraffe lovers the world over can unite to share in the miracle of nature. It's been lovely actually. Comments coming in from a host of different countries, all sharing in a common interest. I didn't think I would become that involved in it, let's face it, it would be easy enough to find giraffe births on Youtube, but there's something pretty special about being part of it, sharing the moment. I think also, it's been pending so long, I feel like I need closure and to find out once and for all if there actually is something in there! Go to Animal Adventure Park Facebook Page to join in the fun. I just hope it happens soon, I have work I should be doing! L's birthday preparations are going well. Obviously, I can't say anything on here yet, because he can read, but all will be revealed in a weekend post soon! So, this weekend I had a very important date. 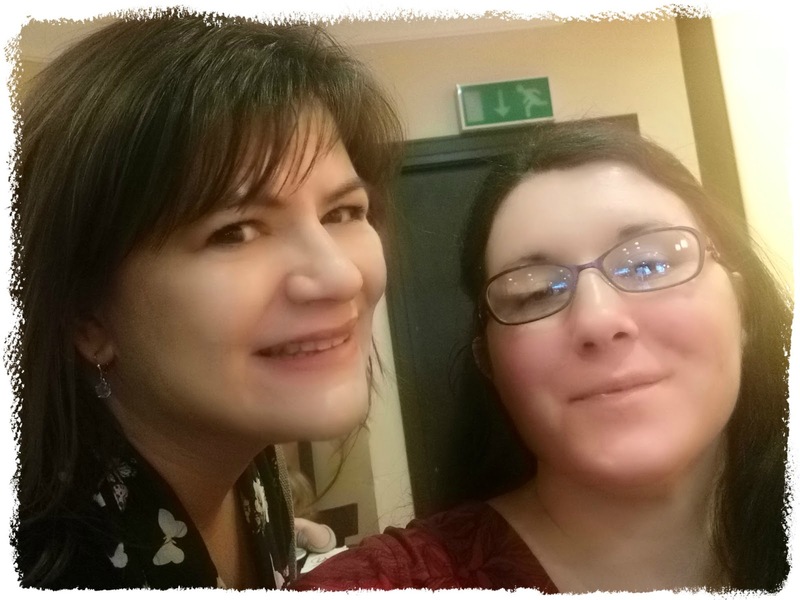 Fellow blogger and long time lovely friend Mels, from The Diary of a Jewellery Lover and her newish, awesome, galavanting the world one slap-up meal at a time blog; Fly Drive Explore, was in town from Wales and this meant it was necessary to meet for cake. Of course. So I hopped on a bus into town. You wouldn't think this part would be note-worthy, but it did throw up something of an unfortunate situation. The smell. Oh my gosh, why is there always someone stinky on the bus? And, furthermore, why do they always want to sit next to me?! Do I have a sign that says; 'Please dump your stink here, I have no sense of smell'? It's not always the same smell, sometimes it's a prior meal, usually garlic, occasionally alcohol, but today it was plain and simple unwashed human and eugh. She was a fairly well-dressed lady; pencil skirt and neat bob, which threw me off a bit, but there was no denying it was her assaulting my nostrils with every movement. If she had been on the bus a while, and it was a hot day, maybe, just maybe, I could forgive a bit of a hum, but, honestly it's the middle of winter, just get a wash already!! My leg is still giving me serious grief, so I didn't want to linger in town too long. I love Bristol, though, there's always so much going on. First, there was this really entertaining guy, who I caught doing some insane limbo dancing, beneath a pole that just happened to be on fire! I have no idea how he hasn't burnt his nose and please don't try this home, but well worth a watch. He was really funny, as well as facinating to watch. I think it's great that you can see performers of this quality in town centres and all they ask for is a small donation. A great way to bring performing arts to the masses, when it's so expensive to go to live shows these days. Next, a sight that is fairly common in my town. A couple of interesting individuals, roaming the streets dressed up in crazy costumes. You always seem to meet quirky, fun people in Bristol, but these rather lovely fellows put their awesome costumes to good use, raising money for charity. 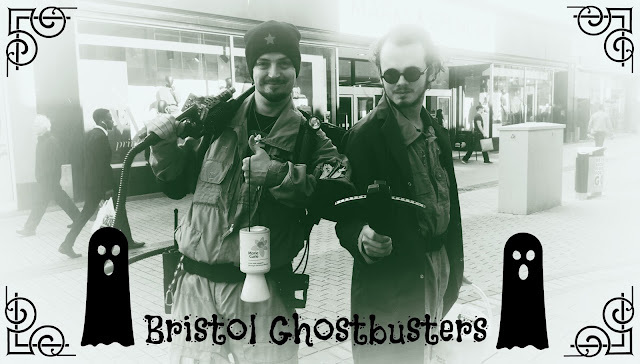 They are the Bristol Ghostbusters. Mel and I met at Patisserie Valerie in Cabot Circus. It's a very small venue, but the tea and cakes are pretty lovely and it doesn't feel cramped at all. 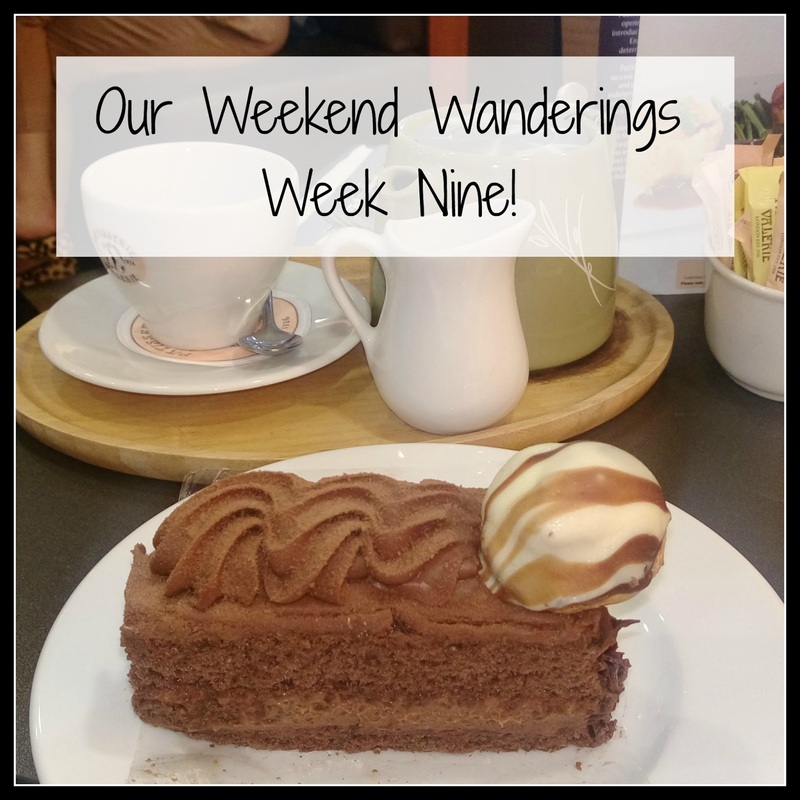 I had the Chocolate Gateau and it was very pretty and most enjoyable. We even remembered to take a selfie for you, dedicated bloggers that we are! Last stop before heading off to play 'What's that Smell?' on the bus again, was Tiger, which is a shop I have heard a lot about but never been in. I can't believe I've missed it for this long, it's fab. It's like a really upmarket discount store, crossed with an independent-type gift shop. A really eclectic mix of.. just awesome stuff. Little gifts and gadgets, the sorts of things you can always think of someone that needs one! The prices are really small too, it would be a lovely place to take a child with their pocket money. I bought a couple of notebooks and a miniature swing bin, as you do, but I could have spent the crown jewels if I'd had any! Sunday passed by in a whirl of washing and other boring stuff, and that was another weekend over. My wifi is playing up like a petulant toddler again this evening, so I am going to sign off, before I lose the plot. Hope you've had a great week so far! Ha ha, Mr W talks about 'unwashed humans' too! It was lovely to meet up and next time we shouldn't leave it too long.